This is why we invented Treatment Scores. You look up a diagnosis. You get a list of treatments. You get a Treatment Score for each treatment. What could be simpler? Ease of use with Treatment Scores is as good as it gets. 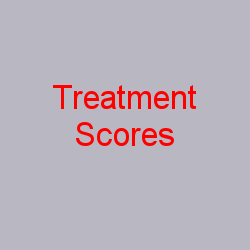 What is the Treatment Score? The Treatment Score represents the net benefit to the patient. We always use a 100-point scale and the time period and main outcome measure are defined by the patient. 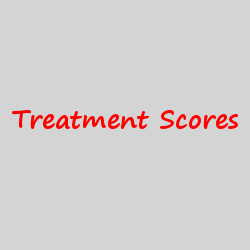 In other words, Treatment Scores define treatments according to what is important to patient. It almost makes too much sense to be true. Please, for your own sake, consider stopping smoking if you’re a smoker. It may be the single biggest lifestyle change you can make to improve your health. Examine the treatment list above carefully. Imagine a list of 130 treatments for something like a migraine headache where every Treatment Score was filled in. That’s the future of medicine. In the future you’re going to get EASE-OF-USE when looking up health information. You are no longer going to have to go from review article to review article. You are no longer going to have to spend hours and hours looking up information about a treatment, read medical studies for hours and hours, and then try to digest all that technical information. It will be done for you using health information technology. We will have Treatment Scores. The problem is that websites are hard to use. In the article I quoted at the beginning, a lot of people trusted the CDC, but found their website difficult to use. A lot of people trusted non-profit organizations for healthcare information, but only 16% of the respondents in the survey used those sources, because they were difficult. This is why we need Treatment Scores. We need to combine trustworthiness with ease-of-use. Since Treatment Scores are a transparent system they will eventually become the most trustworthy system. Since Treatment Scores digest the information down to one number, they will destroy every other website when it comes to ease-of-use. Treatment Scores will be perfect for mobile health and smart phones. Treatment Scores are the future. Survey: Usability trumps trustworthiness for consumers' health website preferences, by Aditi Paik, March 10, 2016. Accessed 2016/03/24. Please help bring Treatment Scores to the world so that we can help all 7.3 billion people on the planet. You can help by following Treatment Scores and these important people on the following social media accounts. Please follow Bradley Hennenfent, M.D. Please follow Steve Hennenfent, M.D. Please follow Jeff Schwartz, M.D. Please follow George Magrath, M.D. Please follow Jordanna Quinn, D.O. You have always needed to know the "Treatment Scores" for treatments you are considering. What if you have a diagnosis and there are 10 possible treatments? Or 130 possible treatments like for insomnia? Are you going to read medical articles for six months? 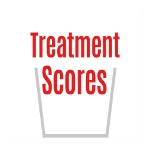 Treatment Scores, Inc. is similar. What we are doing is reorganizing the data from the existing medical literature to make it understandable for everyone. We are also a revolution from the bottom up. We are making science-based medicine accessible and understandable for everyone, starting with patients. At this website, TreatmentScoresBlog.com, we are quantifying the net treatment benefit according to the existing medical literature for various medical treatments. We believe that organization and quantification into Treatment Scores will revolutionize patient education, physician education, research, and that Treatment Scores will also revolutionize business to business healthcare distribution, and business to government healthcare distribution for all governments around the world. You always suspected that there had to be a practical use for big data, and artificial intelligence like IBM Watson, but like everyone else you were just waiting for somebody to invent Treatment Scores. The Study Was Stopped Early: This Drug Must Be Great! The Study Was Stopped Early: This Drug Must Be Great! (Sarcasm!) Ever hear a news story about some new medical breakthrough or drug that was being studied and it turns out that this treatment or drug was so great the study was stopped early? Next the TV doctor will come on and say this treatment A or drug B is better than something else and pretty soon patients are calling their doctors demanding treatment A or drug B. In my last blog post I mentioned that several of the studies of statins for primary prevention were stopped early. Let me explain how stopping a study early can lead to an increased risk of saying a treatment is effective when it is not, or that it results in finding an exaggerated effect. First a disclaimer, this doesn’t mean that interim analysis or stopping a study early is necessarily wrong. Studies are expensive and data must be looked at to find potential side effects. However, this increases the risk of a Type II error. A Type II error is finding an effect when none is present. I am sure that there are many physicians who are unaware of this fact and there is no way patients could possibly know this. It is also clear the "physician celebrity reporters" either don’t know or aren’t talking. The easiest way to explain this is to start with an example. Say I flip a coin 5 times. Assuming the coin is true, meaning there is a 50% chance of getting a head or a tail on each flip, what are the chances of getting 3 heads or more? The answer is 50%. What are the chances of getting 2 heads or less? Again the answer is 50%. Now let’s say I’m studying my hypothetical population of elderly, fat, diabetic smokers who have a 50% chance of having a heart attack in the next 5 years and I have a new awesome drug A that I think will substantially decrease that risk. We study 10 patients, 5 get drug A and 5 get a placebo. We do our interim analysis and low and behold 60% of our placebo patients have had a heart attack and only 40% of our patients taking drug A have had a heart attack. That’s a difference of 60%-40%=20%. This is the risk difference, but wait there’s more. Our relative risk is 40/60 giving a relative risk of 0.67. This yields a relative risk reduction of 1-0.67=0.33 or a relative risk reduction of 33%. Quick! Call the Network News we have a drug that reduces the risk of a heart attack by 33%. What’s not to like? Now we’ll go back to our flipping the coin example. If we flip a coin 5 times, half the time we get 3 out of 5 heads or greater. Let’s say its 3 out of 5 or 3/5 which is .6 or 60%. About half the time we get 2 out of 5 heads or less. Let’s make it 2 out of 5 or .4 which is 40%. Sound familiar? The 60% and 40% numbers are the same as we got for our fantastic new drug A that prevents heart attacks by 33%. Yet we got that number flipping a true coin that half the time comes up heads and half the time comes up tails. Now if we are comparing 2 coins and flip one 5 times and the other 5 times, the chance of one coin coming up heads 3 times or more and the other one coming up heads 2 times or less is 25%. It’s easy to see if we are comparing 2 coins it’s possible that one appears to come up heads more often than the other just by chance. The same thing can happen if we are doing our study and periodically checking the data. It is entirely possible that at some point we could find data where by chance the drug we’re studying has a slightly larger effect and the placebo group has a slightly smaller effect. This could even lead us to find an effect where there is none or could show an exaggerated effect. If you look at the data often enough you are bound to examine it at one of these points. Researchers will try to minimize this risk by limiting the number of interim analysis, only doing them at predetermined times, and using lower P values. Nevertheless, this is something that needs to be taken into account when analyzing the medical literature. In my blog about statins and primary prevention, I mentioned I had found around 27 Meta-analysis or probably about as many meta-analysis as there had been original studies. What could possibly go wrong here? In the case of prevention of mortality by statins, some of the meta-analyses said there was a decrease in mortality and some that there was not. To explain this, let’s go back to our flipping coin example. If I flip a coin 100 times, I would expect most of the time to get around 50 heads. But sometimes I would get 40 heads or 45 heads or maybe 55 heads etc. If I flip a coin 1000 times, I would expect around 500 heads, but sometimes I would get 475 heads or 537 heads. Again the point is that it’s possible to get a variable number of heads just by chance. Now let’s say we do a few studies, then a meta-analysis. Now we do a few more studies and another meta-analysis or two. Similar to the coin flip example, sometimes we might see a bigger effect and sometimes a smaller effect. At times we might even be seeing an effect when in fact there is none. 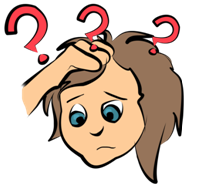 Now let’s throw in a few experts giving their opinions writing periodic review articles and its obvious how patients can become very confused. Dr. A can be telling his patient’s drug A works great and Dr. B can be reading the same literature and saying it doesn’t work at all and to top it off, they may be saying something different next year when the next meta-analysis comes out. Treatment Scores can make this so much better. The Treatment Score for each study can be determined and things like stopping a study early can be taken into account. New studies can be incorporated almost instantaneously instead of waiting a few years for the next wave of meta-analyses. One Treatment Score will be determined for each treatment. The original studies will be transparent and the Treatment Scores will be transparent. One Treatment with one number everyone can understand. Hasn’t the time come for something better for our patients? Let’s get Treatment Scores going and eliminate the mass confusion that is occurring in interpreting the medical literature. Knee osteoarthritis (OA) is one of the most prevalent disabilities worldwide. It affects both men and women and can significantly decrease quality of life in those individuals who are affected. It is common belief that knee pain and arthritis are correlated with overuse. Being that I have been a lifelong athlete, I was curious about the best non-invasive treatment for knee osteoarthritis, as I am likely to have knee OA, myself, in the future. I searched many articles, mostly addressing herbs and supplements for knee arthritis. There were too many articles that addressed this condition separately, so I had to narrow my search. I then searched just for glucosamine, as that is a well known recommended supplement, for knee pain. I found only one randomized controlled trial that compared glucosamine hydrochloride to placebo. After reading the entire study, it was incredibly difficult to truly understand the net treatment benefit. Once I entered the information into the Star BlocksTM, as seen below, I was able to really see how effective glucosamine is in treating moderate to severe knee OA, as compared to placebo. As you can see above, the pain in the treatment group decreased by 42 percent. You can also see that the quality of the study was initially given an "A" grade. So while the overall score for the study remains at an "A", this study is not as good as a larger, longer study on the subject. Additionally, since the treatment was only 42% effective, it cannot get a treatment grade of "A" and thus gets a "C" grade. By putting in both the glucosamine arm, and the placebo arm, you can see below that the placebo arm ends up with a treatment grade of "D" due to it's decreased efficacy as compared to glucosamine. This study shows us that glucosamine is more effective than placebo in treating knee osteoarthritis. Treatment Scores allows us to quantify the net treatment benefit as compared to placebo, or as compared to anything else a study may be trying to prove. It is important that both patients and physicians alike are able to compare different treatments for different disease processes. As the literature stands now, it is almost impossible to interpret different studies and gather quantitative information based on their outcomes. It is difficult to assess whether or not a study is biased, and it is presently impossible to compare the effectiveness of treatment to another for a certain disease. Treatment Scores will continue to quantify the vast amount of research studies out there and thus make it easier for people to understand which treatments work well for a particular disease. A 5-year-old patient came in last week with severe abdominal pain. She had a recent history of vomiting multiple times with high fevers for about a week. She then began experiencing severe, intermittent abdominal pain. The abdominal pain was so severe that she did not sleep for at least 3 consecutive nights. This was not helping her symptoms. She eventually went to the emergency department, in efforts to rule out any major surgical need, or other life threatening situation. While the in the ER, the patient underwent a series of testing. She had blood work drawn, urine drawn, a thorough physical examination, an abdominal ultrasound and an abdominal x-ray. It was determined that the patient was slightly constipated, and that her main cause of severe abdominal pain was due to mesenteric adenitis. She was sent home with instructions to take ibuprofen for the pain. Once home, the parents treated the girl with alternating ibuprofen and tylenol. These remedies did not help with the pain at all. The abdominal pain persisted for many weeks following, without relief with over the counter medications. The parents were exhausted, as was the girl. They were wondering if there were better treatments out there for mesenteric adenitis. That is when they began a web search and could not find anything worthwhile. This scenario led me to want to research the best treatments for mesenteric adenitis as well, and to quantify and compare the differences between each treatment so that I could give the parents the best, and most accurate information out there. I then went to PubMed to look up articles that I could put into Treatment Scores. As it turns out, there are no evidenced based studies on effective treatments for mesenteric adenitis. In fact, there are few articles that discuss this diagnosis whatsoever. This led me to realize that we don't actually know what works for treatment. I was able to then let the parents know that we aren't sure how effective ibuprofen versus Tylenol versus any other over the counter pain medication actually is in treating the disease. Though I could not find enough information on the treatment of mesenteric adenitis to put into the Star BlocksTM at TreatmentScores.com, I was at least able to explain to the parents of this girl why the ibuprofen may not actually be working to treat her pain, since we have no data to support it's use for this condition. You should subscribe to the Treatment Scores Blog via Feedburner so you will receive an email about every new Treatment Scores Blog post. Never miss one our new blog posts where we discuss the science of medicine and Treatment Scores. All you need to do is enter your email address in the box below and confirm it. You have to be CAREFUL to do 2 things. 1. Enter your email address and hit "subscribe"
Confirming your email address can be tricky. If you do not get the confirmation email right away, search all your emails for the term "feedburner," because "feedburner" is used so frequently by so many blogs all over the world your confirmation email will often go into your spam folder. We all desperately need treatment transparency in healthcare. You need to understand all your options for medical treatments and you need to know what the science of medicine says about them. Does Prolotherapy Actually Treat Pain? Prolotherapy was the original form of regenerative medicine. It typically uses a combination of dextrose and lidocaine as a healing agent for musculoskeletal pain syndromes. Prolotherapy works by causing a local inflammatory reaction, at the injection site, in order to stimulate the body's own healing mechanism. Though prolotherapy has been used for over a century, there has not been a whole lot of research to actually support its' use and efficacy. I have recently been performing more and more prolotherapy in my office, and have been getting great results in the treatment of a variety of musculoskeletal injuries. I decided to do some further research on my own, to actually quantify the efficacy of prolotherapy. I found a few articles addressing prolotherapy and knee osteoarthritis. I was able to use the Starblocks™ to input the data from the studies on prolotherapy. As you can see below, the treatment scores for one of the articles is at 55. This score is based on the type of article, as well as how relevant the study is. Being that this is an uncontrolled study, the maximum number it could have for the main statistic is 20. The score went up to 55, as the quality of the study increased due to the fact that they study design was high. Based on the small number of participants and the short term follow up time, however, the score cannot be any higher. In reviewing another, similar study on prolotherapy, we came to a different conclusion. the main statistic below was given a higher score. This score is higher than the first study for a variety of reasons. First of all, this was a randomized controlled trial. This is the highest quality of study, and is therefore given a higher score. There were also more participants in this study than in the prior study. Finally, the follow up on this study was 2.5 years, which is a good time for full follow up on any given treatment or condition. As we continue to have more studies on prolotherapy, we can continue to use Treatment Scores™ to compare the results of prolotherapy to a variety of main stream treatments for knee osteoarthritis and other musculoskeletal issues. This type of simple, easy comparison is what is needed in medicine in order to better understand how to interpret the vast amount of information there is on the internet and otherwise. Influenza is a very common disease which can effect all age groups and populations in the US. While being very common, there are not many treatments available and most patients are treated supportive care. However, Tamiflu is a neuraminidase inhibitor which is FDA approved for flu patients within 36 hours of onset of symptoms. In my personal experience it is rarely given to healthy adults with the flu and I wonder about the true benefit in otherwise healthy adults with the flu. This is the perfect setup for a Treatment Score™. The first step is to set my diagnosis as influenza diagnosed patients and my primary outcome statistic to reduction in time to cure. I was able to find 3 large, randomized controlled trials of Tamiflu given to patients within 36 hours of onset of the flu. The findings were between 4-30% reduction in the time to cure, typically shortening the course by about 30 hours. These studies were entered into Star Blocks™ and the Treatment Score™ of 25 was given. This is great, but we also need to account for the side effects of Tamiflu. I included one large RCT into the Star Block which showed a 41% increase in nausea in patients taking Tamiflu. Nausea seems much less significant than the flu, so the Treatment Score was decreased by 5% to account for this side effect. This leaves us with a Treatment Score of 20 for Tamiflu. Who Should Take a Statin for High Cholesterol? Should I take a statin? I am in my 50’s and I have high cholesterol. I’m otherwise healthy, exercise and am not overweight. I’m also a doctor so I should be able to find a few randomized controlled trials, maybe a meta-analysis and have an answer shortly, right? Wrong, what we’re talking about here is the primary prevention of something bad happening such as a myocardial infarction (MI) or death by me taking a statin. A meta-analysis is usually a good place to start looking for information on a medical topic. It is a process which mathematically combines the results of clinical trials. After many hours on the Internet, it turns out there may be somewhere around 24 meta-analyses of this topic - not all reaching the same conclusions. The range of studies in the meta-analysis was anywhere from 6 to 27 trials so there are as many meta-analysis out there as there are original clinical trials. There is even a systemic review of the meta-analyses. Taking an initial look at some of the meta-analyses on this topic I find some saying there is a decreased overall mortality and some saying there is not. The question that comes to mind is how could so many people look at this data and reach different conclusions? There are lots of numbers being thrown around in these analysis like relative risk, risk reduction, absolute risk, number needed to treat and even median postponement of death. I would like to know what is already known about this topic, but how can I find that out in an unbiased way? Once I figure out if I should take a statin, it should be possible to apply the results to people in other risk groups. It’s apparent I need to look at this data myself. It’s time for some Treatment Scores™. My goal is to find the net treatment benefit, if there is one, in taking a statin for primary prevention in someone similar to me. We’ll go to the Treatment Scores™ diagnosis tool and start with a primary diagnosis of prevention of a major cardiac event by statins. I am starting with major cardiac events since this was the primary outcome in most of the studies. We’d also like to know the overall effect on mortality and this will be included in the analysis. We’re looking at primary prevention in a relatively health non-smoker with a high total cholesterol. Now we’ll skip ahead to the StarBlocks™ as we need to organize the literature. Going to Pubmed, it’s not that easy to find the actual studies. Searching under statins and primary prevention generates 3220 results. Finding the actual studies that are relevant takes some doing. Eventually, I find the large randomized controlled studies that seem most relevant and get them entered into my StarBlocks™. These are the studies that are commonly used in the meta-analysis. Before we start our analysis, here are a couple of observations. Most of these studies are randomized controlled studies, which is great. However, even randomized controlled trials are not perfect and can have biases and potential errors. Another observation is that some of the studies were stopped early, which can lead to some exaggerated effects. This is similar to how too many meta-analyses can also be misleading. There were a lot of secondary outcomes studied in these papers and sometimes this too can lead to some spurious results. We’ll talk about these issues in future blogs. First, we are looking at primary prevention. Taking statins after a myocardial infarction (MI) is secondary prevention and is a whole different issue. In these studies, the primary outcome was prevention of major cardiac events. This usually consisted of having an MI, a fatal MI or need for cardiac revascularization procedures. As we will discuss in another blog, the primary outcome is usually the most accurate so we will use this as our main statistic. Secondary outcomes consisted of rates of cerebral vascular accidents (CVA’s) and overall mortality rates. We’ll use 5 years as our follow up period although as mentioned previously several studies were stopped earlier. The follow up durations range from 1.9 to 5.3 years. What kinds of patients were studied? As it turns out, not really patients like me. Most of them had high total cholesterol levels as expected, but some were elderly with angina and had high risks of coronary events. Many of them were hypertensive, diabetic or smokers or some combination of all three. The majority were men. It appears we have a range of patients in these studies: some being at a “high risk” of having a major cardiac event and some being low risk. It appears not everyone responds to a statin in the same way. Some people have a large decrease in their cholesterol levels and some not so much. However, we don’t know ahead of time into which group a particular patient will fall so all of the patients will be analyzed the same way. What we are trying to do is to quantify the actual benefit, if there is one, of taking a statin. The relative risk reduction for preventing a major cardiac event varies between 14% and 44% in these studies. However, this statistic can be misleading. Its clinical significance depends on the overall incidence of the event. This is something else we’ll discuss in future blogs. Let’s look at the absolute risk reduction. This is just the difference in the risk of one group having an outcome minus the risk of the other group having an outcome. For instance, if 5% of the patients in the placebo group have an MI and 3% of patients in the treatment group have an MI, the absolute risk reduction is 2%. If 15% of the patients in the placebo group have an MI and 13% of patients in the treatment group have an MI, the absolute risk reduction is 2%. In my StarBlocks™, the absolute risk reduction for a major coronary event is listed in the Statistic We Have box. These range between 1.2% and 2.6% with an average of 1.91%. Another way this is commonly looked at is the Number Needed to Treat or NNT. This is the reciprocal of the absolute risk difference. In this case, if we take the reciprocal of the average, it is 1/.0191 which would be 52. In other words, 52 patients would have to be treated to prevent one major adverse cardiac event. If we look at overall mortality, the average absolute risk difference is 0.3%. This gives an NNT of 300. In other words, 300 people would have to take a statin to prevent one death in these patients. The average number for risk difference for preventing a stroke is the same: 0.3%, again yielding an NNT of 300. I am going to use the absolute risk reduction as the gross treatment benefit on my 0 to 100 scale. This is something easy to understand. For example, if I have a 10% chance of having a heart attack in the next 10 years and drug A lowers that to 8 percent. The benefit is 2% or 2 on a 0-100 scale. We will have to subtract something from this value to get a final Treatment Score™ because of the potential side effects of drug A. Thus, before getting our final Treatment Score™ for statins, we’ll also consider side effects. It’s hard to get 100% accurate numbers for side effects. For instance, some of the large trials found that there was an increased incidence of some kinds of cancers and others did not. When you are looking at a lot of subgroups it’s possible to get some spurious results just by chance. There are some useful numbers in the PDR regarding side effects and also some large cohort studies. Putting it all together (and a lot of this evidence is weak), here’s what I came up with. Statins can increase Liver Function Tests in some patients but it will resolve if the drugs are stopped. Some patients get myopathies which will resolve if the drugs are stopped. There is a small chance of rhabdomyolisis which is a breakdown of muscle tissues. There probably is some increase in the chance of developing diabetes. The Treatment Scores™ given in the Treatment Score™ calculator below are my best estimates. There are some reports of memory loss when statins are started, but there may be some protection against dementia. Again, the evidence is weak so I gave both dementia prevention and memory loss Treatment Scores™ of 0. There is also the monetary cost of the drugs to consider, but this in not included in this Treatment Score™ analysis. I am in a relatively low risk group, so to get my Treatment Score™, I need to know if higher risk patients get more benefit from taking a statin than lower risk patients. Looking at the data, this does seem like a reasonable assumption. The studies with the lower risk patients in general have a lower absolute risk reduction than the patients in the higher risk groups. The original goal of this example was to find the Treatment Score™ of someone like me. This will be the net treatment benefit on a 0 to 100-point scale. Let’s analyze major cardiac events first. Since I am in the lower end of the risk spectrum, I’ll start with an absolute risk reduction for a major cardiac event of 1.2%. This was the absolute risk reduction in what appears to be the lowest risk group studied. This study did have a significant number of patients who were smokers or diabetic so my absolute risk reduction is probably less. We’ll be generous here and decrease the 1.2% to 1.1%. We need to subtract from this value because there are side effects which will decrease the net treatment benefit. Again, being generous we will subtract another 0.1% to come up with a final Treatment Score™ of 1. Therefore, in my analysis the maximum Treatment Score™ or net benefit of me taking a statin for preventing a major adverse cardiac event is 1 on a 0 to 100-point scale and could be even lower. If we look at preventing overall mortality, the overall risk reduction was .3%. In someone who is lower risk like me the Treatment Score™ effectively becomes 0 after taking into account side effects. The same would be true for prevention of a CVA. Treatment Scores™ makes it apparent that taking a statin will not prevent me from having an early death. 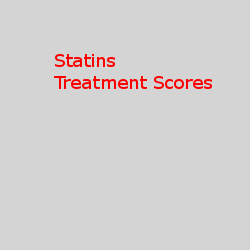 It’s not unexpected that the Treatment Score™ for low risk patients taking a statin is low. I won’t be taking a statin, but for someone with more risk factors, the Treatment Score™ would be higher and they may reach a different conclusion. It is very likely that many of the therapies we use now will have low Treatment Scores™. That doesn’t mean they shouldn’t be used. But at least with Treatment Scores™, I now know what I know. I can see the major studies and see what the benefits and potential harms are. I won’t have to rely on a panel of experts, who may have their own biases, to make a medical decision. There is no reason why doctors and patients should not be able to understand one number used for all treatments. It will then be possible to personalize medicine. For instance, the 60-year-old diabetic smoker may decide taking a statin is in their best interest even though the Treatment Score™ may be somewhere between 2 to 2.5 for preventing a major cardiac event. Eventually, as Treatments Scores™ gets to a beta stage, my Treatment Score™ will be combined with the Treatment Scores™ of other health professionals. This should allow for even more accurate analysis using crowd wisdom. Also, we will be able to build on the work already done by others and not have to spend hours just to get the literature available to us in a usable form. As a final note, I wanted to mention meta-analyses. They do have a place in medicine, but unfortunately, they are usually taken as the final word on a topic. As this example shows, 27 meta-analyses of one topic reaching different conclusions makes it apparent that meta-analyses have a downside. Treatment Scores™ are not meant to replace meta-analyses. They are, however, meant to get the medical literature in a simple, unbiased, usable form for everyone. It truly is time for Treatment Scores™.